Advertising in China is at the frontlines in AI adoption and innovation. The majority of ad spend in China is already digital, and AI-based advertising thrives on the massive datasets available in China for number crunching and automation. The key driver for AI in advertising, however, is China’s hyper-competitive ecommerce market. China-based startups use AI to analyze, categorize, and rank influencers, creating an open, blockchain-based, micropayments marketplace that can include everyone on social media. China’s white hot AI advertising applications can serve as roadmaps and spark ideas in other industries. 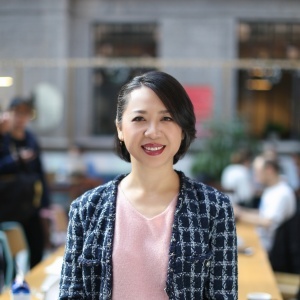 Bessie Lee is Founder and CEO of Withinlink, a China-based startup incubator and early stage venture fund focused on marketing technology that supports China’s media communications industry. Prior to founding Withinlink, she was CEO of WPP China beginning in 2013, where she was responsible for 14,000 employees and more than $1 billion in annual revenue. She has more than 30 years of experience in the media communications industry in Greater China.